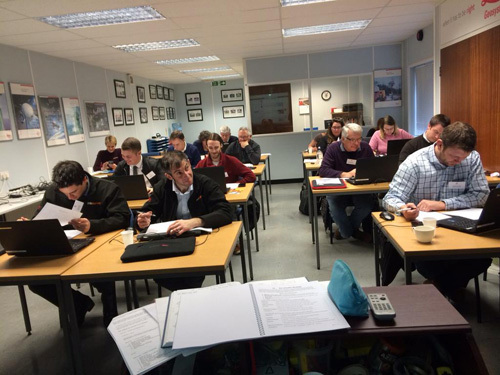 On 11th February, TSA held a free Seminar for members on Social Media at The Survey School in Worcester. 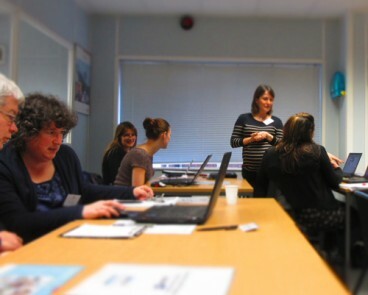 The training was provided by Helen Coldicott from Coldicott Freelance Training. The day had been fully booked in just a matter of hours, so the appetite was definitely there for TSA Members to improve their understanding and use of Social Media for their business. Every company is now expected to have a presence on LinkedIn and Twitter – if not, then you risk simply being left behind. The opportunities are enormous and yet many people do not fully understand how it works – and how it can transform your business and how you communicate. 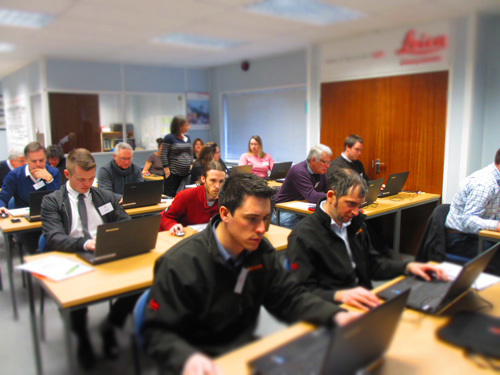 Every attendee had access to a laptop – part of a recent upgrade of the IT infrastructure of The School by TSA. This ensured a very hands-on session, where members could immediately put new skills into practice. The morning session focused on LinkedIn – starting with the very basics and helping people set up their own profile, understand what each section was for and how best to maximise networking opportunities. After an enjoyable buffet lunch (the cakes were delicious!) – and some face-to-face networking time for which TSA events are famous – the group got to grips with Twitter. Much fun was had as everyone set up an account and then starting tweeting, retweeting and hash-tagging to their heart’s content. Check out TSA’s Twitter account, @surveyassoc, for proof of the explosion of tweets. We hope to be able to run another course on this subject soon.